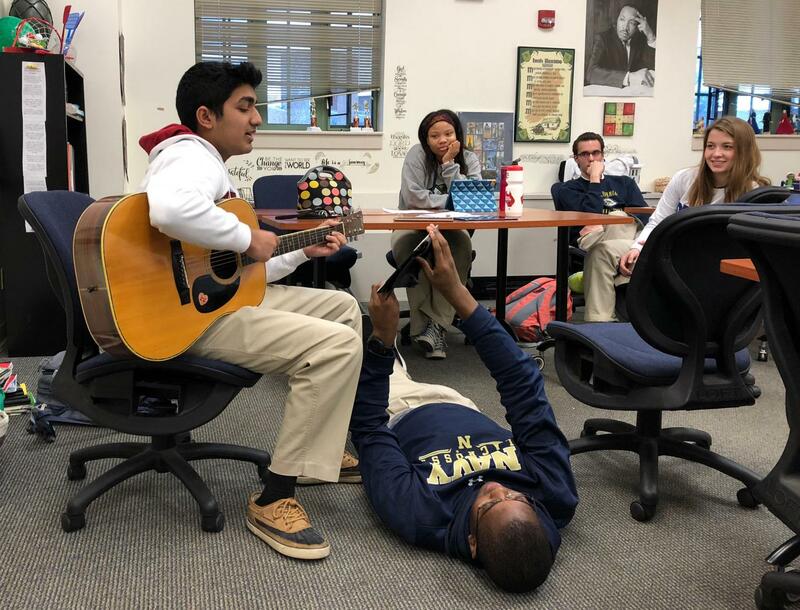 Chase Santamaria ‘18 plays guitar for classmates as part of a school project. “There are easy ways to fit studying into your day without losing any part of the other three components (spiritual, physical and emotional),” Santamaria said. Chase Santamaria graduated with honors in 2018 and did well on most if not all of his final exams. He provides some suggestions on how to be ready for second semester finals. How have you prepared for finals in the past? In the past, I would usually look through each of my classes to see which ones I needed to study for the most as, at the end of the day, we all prioritize specific classes. Once I found those classes, I would simply start reading from the textbook and sometimes take notes on what I read if the content was harder to understand, In math classes, I would pull out old tests and quizzes and redo them to know that I can actually complete all of the content I might be questioned about. What are common mistakes made when studying for finals? I would say easily the biggest mistake made studying for finals is stressing far too much about the tests themselves and not trusting yourself that you know what you are doing. While I get that finals are a very important part of the class, as long as you are taking notes and paying attention in class, there really is no need to stress about the content. Prepare in advance, go to the teacher for private help on specific questions, and trust your instinct. How do you balance extracurricular activities with studying? We all need balance in our lives, or else we will often find that their is something missing that is hindering our opportunity for happiness. Finding a strong balance between our spiritual, physical, mental, and emotional well being might be one of the most important things we do in high school as these are all necessary in truly finding who you are once you go to college. With that being said, there are easy ways to fit studying into your day without losing any part of the other three components. For the next few weeks, try to treat the day like a 9 to 5 work day. Focus on studying in the free time that you have during the school day, and then after school, treat yourself by hanging out with friends or going to your club or sport activity. Do you find it easier to study in groups or with friends? I find it much easier to study with a very small group of friends who have the same priorities as you. 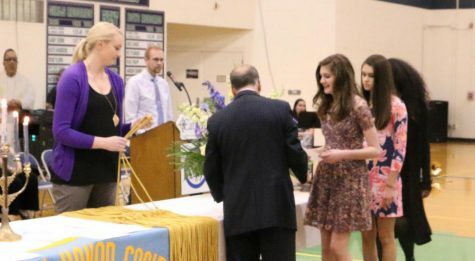 In high school, the IB kids would often study together as we all had similar classes and goals to achieve the IB diploma. As a result, when we said we would study together, we did not mess around until the work was done. After that, we would go out to restaurants and enjoy our time together. However, if you do not have a group of friends that is truly dedicated to studying, I recommend studying by yourself as it will prove beneficial in the long run.